Writing is a grueling endeavor, often without guarantee of success. But if you write, you know this already. You write with the hope that, at some point, your efforts will pay off. It follows that to continue writing is to accept failure as simply a part of the experience – it’s often said that all political lives end in failure, but all writing ones begin there, endure there, and then collapse into senescent incoherence. I prize this sense of failure – embrace it even. … When anyone starts out to do something creative – especially if it seems a little unusual – they seek approval, often from those least inclined to give it. But a creative life cannot be sustained by approval, any more than it can be destroyed by criticism – you learn this as you go on. 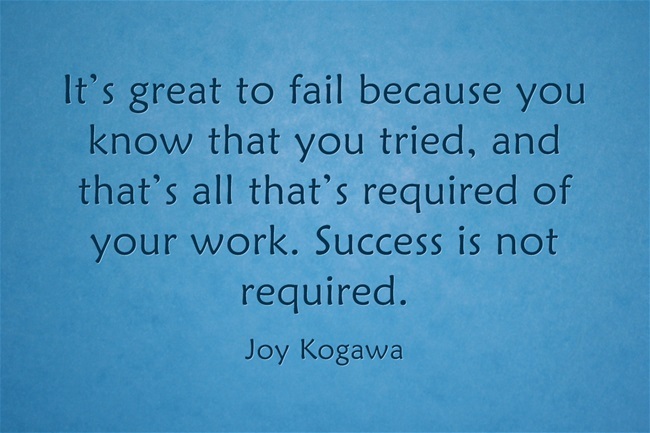 … No, this is the paradox for me: in failure alone is there any possibility of success. 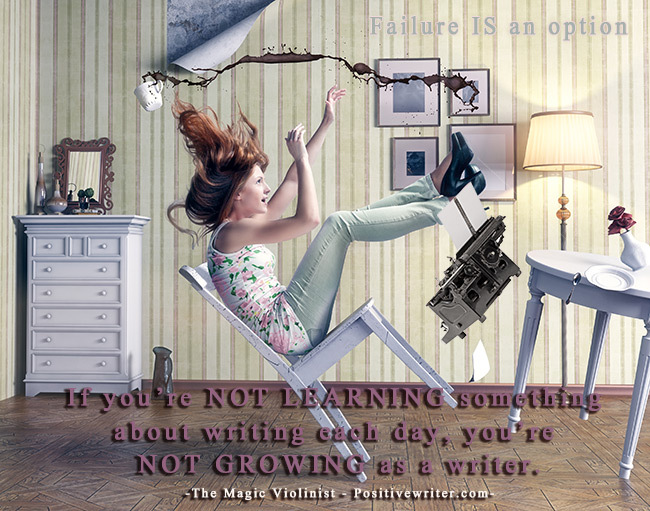 You can read some fascinating thoughts on writing failure and motivation here, with insights from seven successful writers.